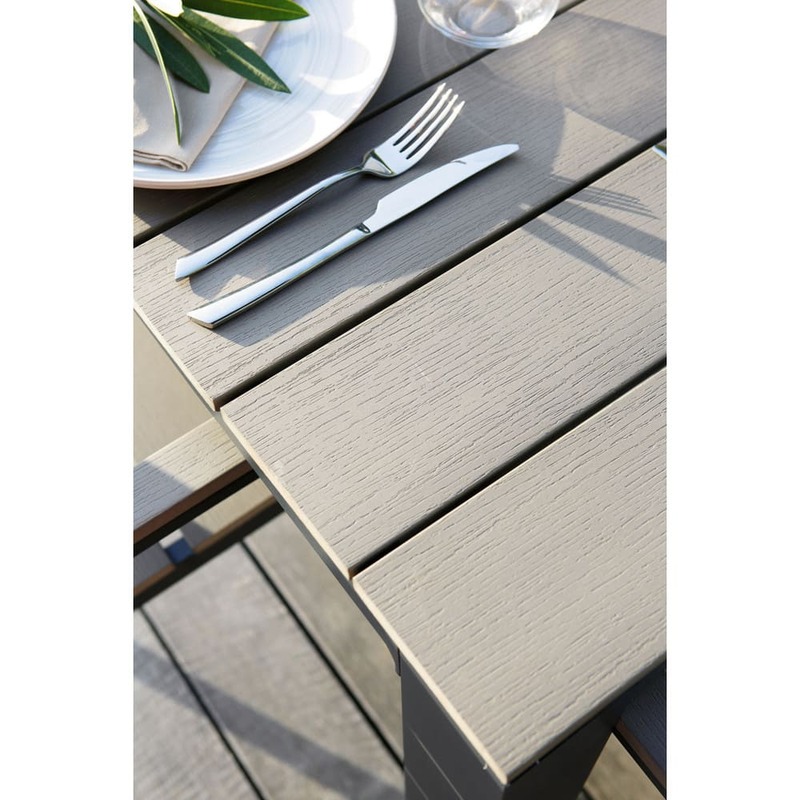 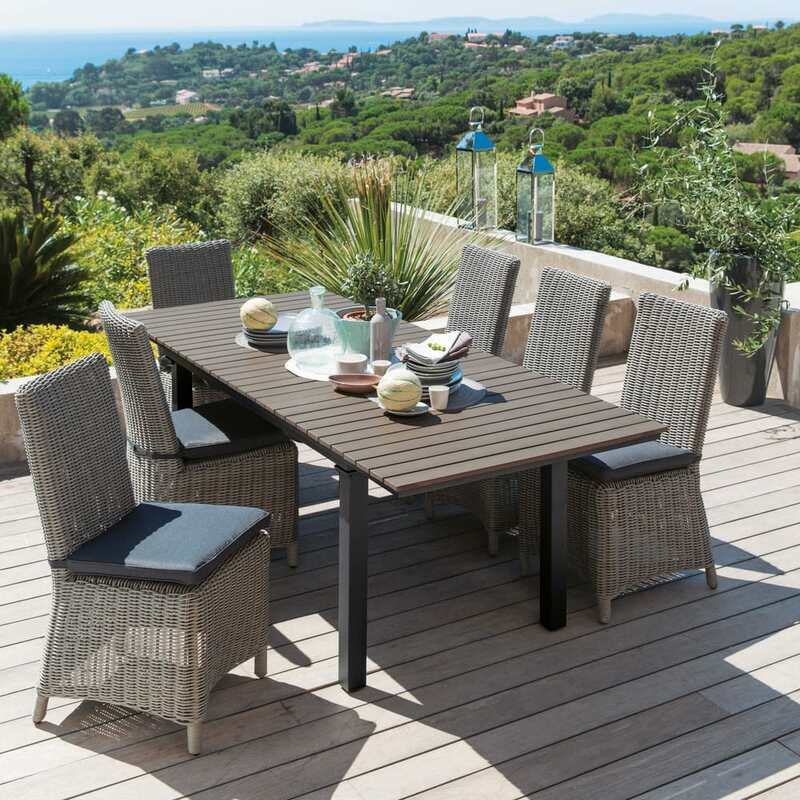 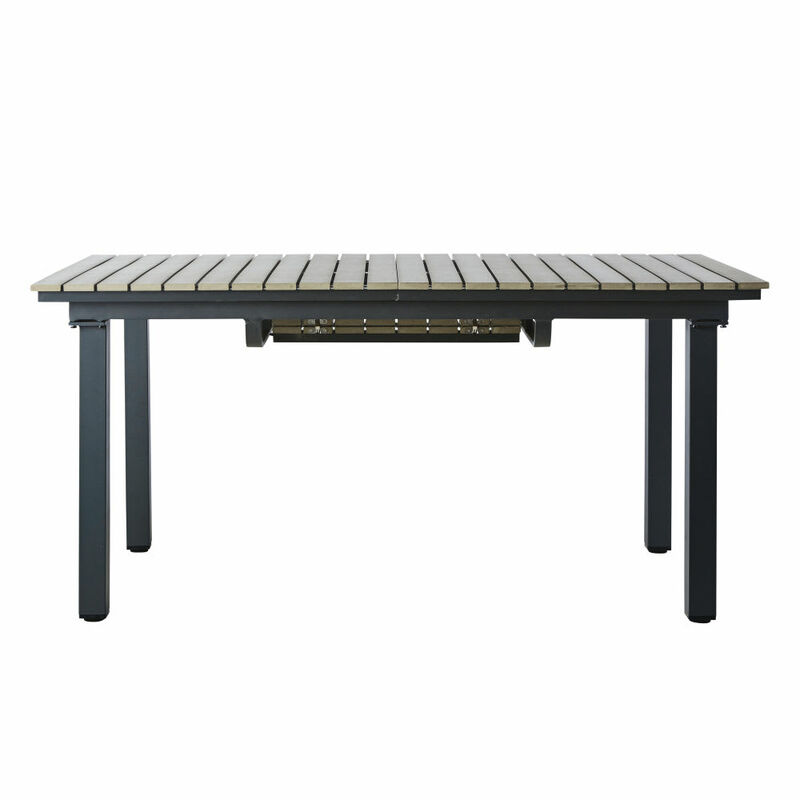 With its slender lines, this large garden table will add an attractive modern touch to your exterior. 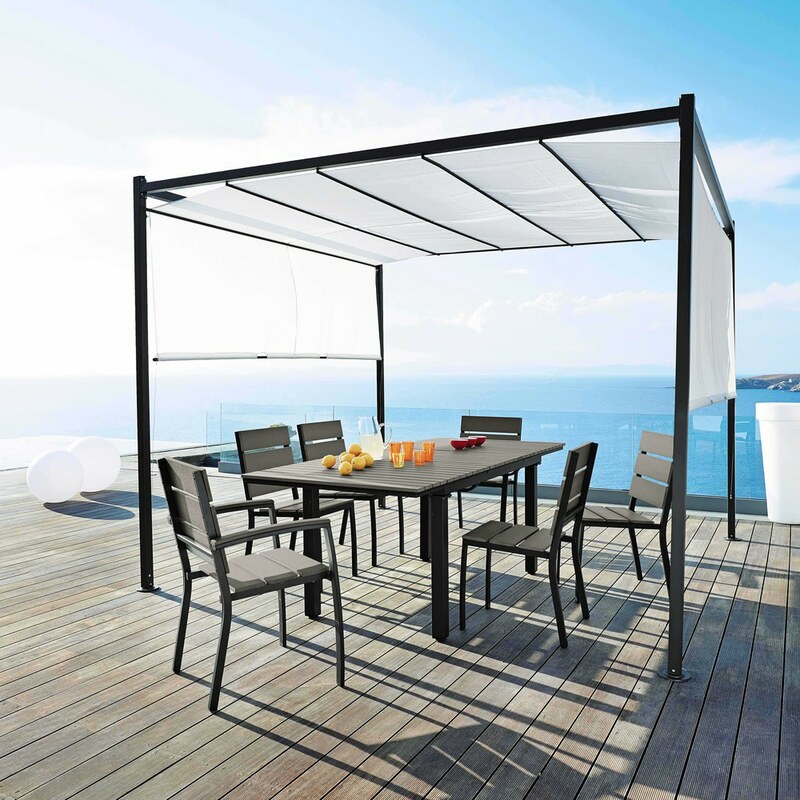 Featuring a vast top, this rectangular outdoor table also has an extending leaf which means that it can go from 157cm to 213cm in length. 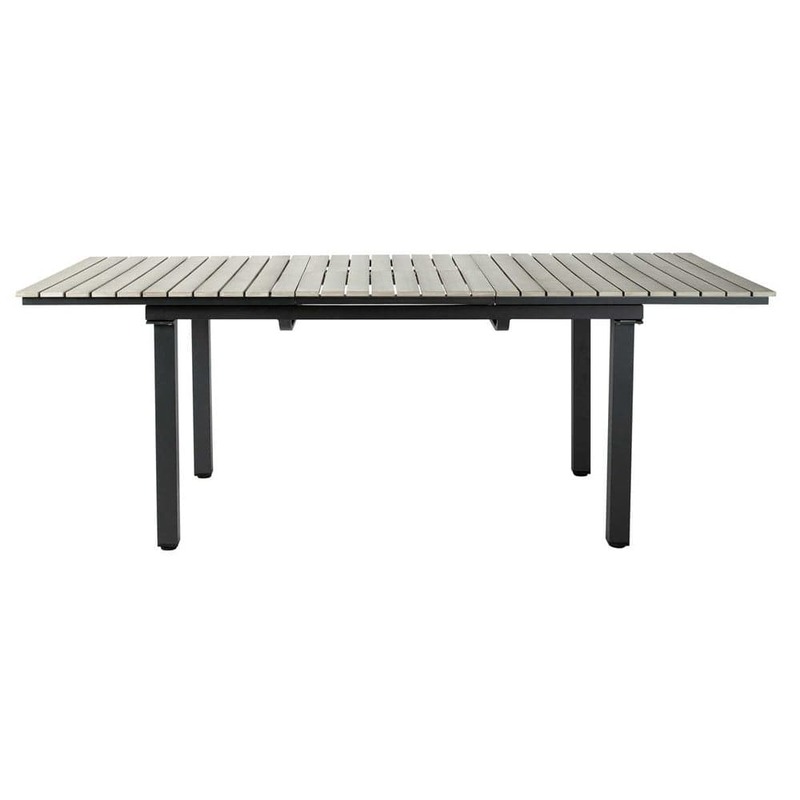 Easy to maintain with its imitation wood tabletop, this garden table will create an elegant and warm atmosphere.